Product prices and availability are accurate as of 2019-04-18 12:56:42 UTC and are subject to change. Any price and availability information displayed on http://www.amazon.com/ at the time of purchase will apply to the purchase of this product. 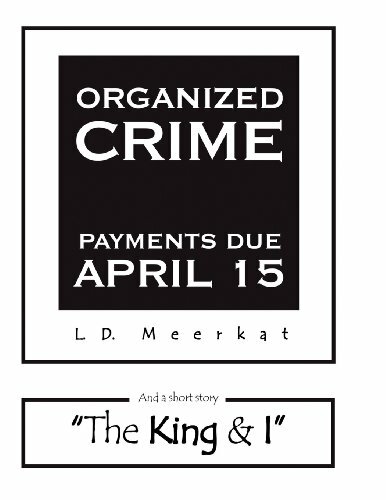 Author Bookstand is proud to offer Organized Crime: Payments Due April 15 by Bookstand Publishing. Bookstand Publishing offers books by the best indie authors throughout North America and the world. Bookstand Publishing is dedicated to offering original content to a broad audience and promoting great authors, literacy, and freedom of expression. Organized Crime: Payments Due April 15 has generated a lot of interest and excitement and we think it would be an excellent addition to your library. 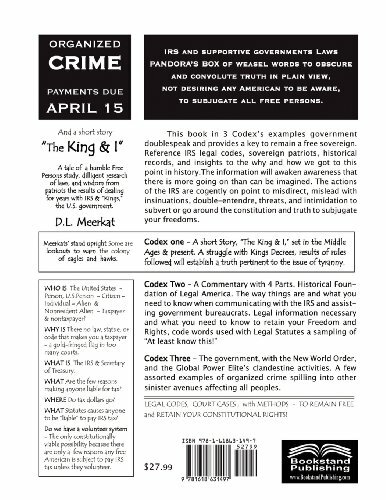 ORGANIZED CRIME: PAYMENTS DUE APRIL 15 in 3 Codex's examples government doublespeak and provides a key to remain a free sovereign. Reference IRS legal codes, sovereign patriots, historical records, and insights to the why and how we got to this point in history. The information will awaken awareness that there is more going on than can be imagined. The actions of the IRS are cogently on point to misdirect, mislead with insinuations, double-entendre, threats, and intimidation to subvert or go around the Constitution and truth to subjugate your freedoms.